Croissants ~ I Can Do That! Wow, those look absolutely amazing ~ professionally-made and delicious!! Oh! 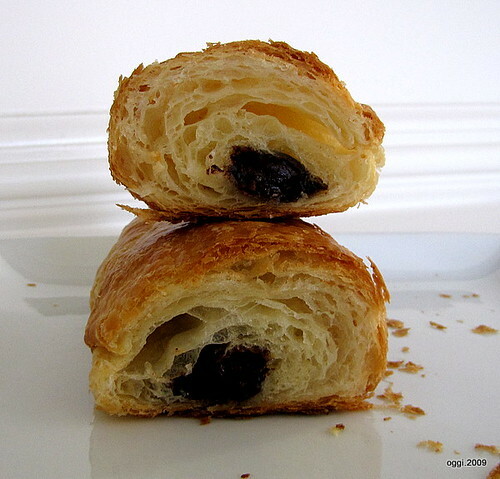 The croissants look beautiful...so professionally done :-) Nice pictures! Oh, my! 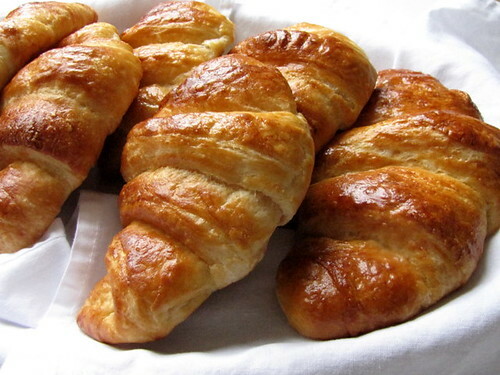 I am soooo jealous of your croissants, I made croissants three times, and all of them were a complete disaster! what is the yield? How many croissants per batch? expect the yield would be 14 if u rolled the dough to 28" and cut @ 4"intervals? Anonymous, the yield should be 13 but in my experience, the corners always shrank a little and I don't want to handle it too much, hence the 12 full [uniform] size croissants. I cut the scraps and either bake them as they are or I add small pieces on the top of the triangles before rolling to give the croissants more "meat". i just made these with kerrygold butter and they were phenomenal! i absolutely love all of peter reinhart's recipes. i can't wait to see which one you choose next, i make the many seed bread all of the time. Yossy, kerrygold is rather expensive but I can imagine it will make these excellent croissants even better. I should use it next time. I've actually baked the Best Biscuits Ever twice and the Wild Rice and Onion bread but couldn't find the time for a write-up. I posted the photos of Wild Rice and Onion here. The bread is moist, nutty, and flavorful. What can I say about the biscuits...they're superb and addicting. Thanks for this - trying it now. It would be very helpful to throw in a few photos to illustrate the orientation of the dough at various points - for the spatially challenged like me, the directions get a bit confusing on this front. Yes, you can make this by hand but it will take longer to knead until supple and smooth. 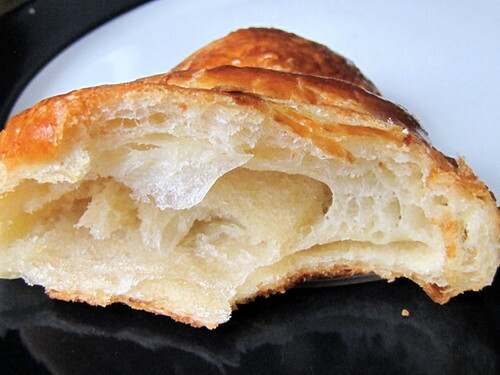 Homemade croissants have always seemed daunting to me, but yours look splendid!